As we wait for the end of the 10-day count/Round 5, here's a few more maps on kindergarten demand and capacity. What AA schools are NOT wanted by their AA residents? 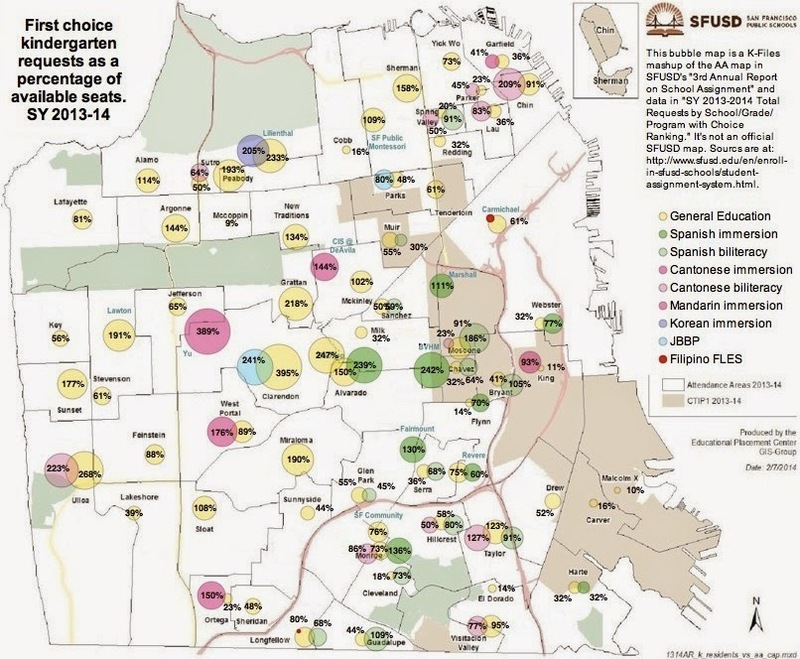 The next two maps show AAs where that people, include AA residents, overwhelmingly don't want to attend. They doesn't tell you anything about which schools that AA residents want to attend. 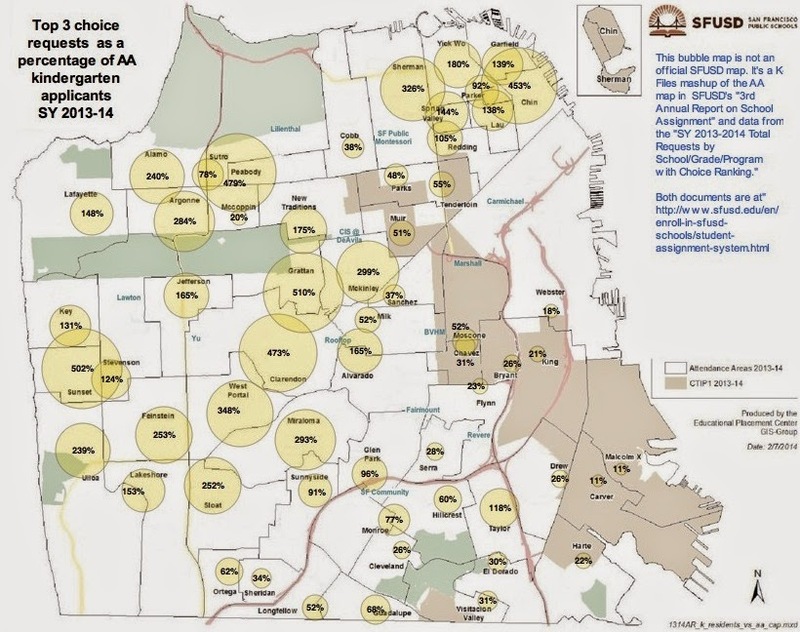 That's because the maps include total requests, AA and non-AA, as a percentage of AA residents. However, when the number of first choice requests is only a small percentage of AA residents, that means that few AA residents want their AA school. 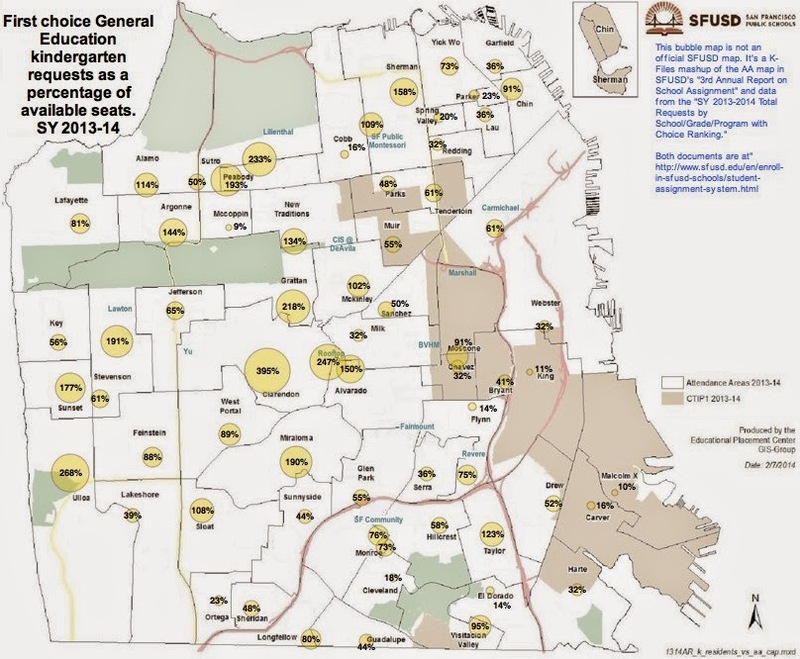 A better map would have been the percentage of AA residents who listed their AA school in their top 3 choices. This was as close as I could get with the available data.